Today we’re going to wrap up this talk that we’ve been having on the development of social classes in Anglo Saxon britain. Hopefully, once we’re done, much like our talks on other matters like food, clothing, and warfare… you’ll have a fuller understanding of who these people were, what their lives were like, and where we come from. Excellent episode Jamie. Really thorough and well worth the wait. Passed the time for me as I made a Sunday Fry up for the household and cleaned the kitchen! I daresay I wouldn’t have been welcome in his circle of hard-man warriors! My favourite episode so far. I’m currently cycling around the world looking at interesting historical sites as I go and your podcast downloaded onto my iPod is my constant companion on long dark nights camping in odd places. Brilliant stuff. Love the Bill Gates analogy, very thought provoking. I tend to picture Anglo-Saxon kings as Vito Corleone type figures, from now Don Corleone will have a significantly higher bank balance. I discovered your podcast a few months back and I think it’s fantastic. The only negative thing is that once I get up to the last one you’ve recorded I’ll have to wait a week for the next one. Great point you made about the Saxon era being unfairly dismissed. Like many, my knowledge drops off considerably after 410 & doesn’t really pick up until the Wessex consolidation under Alfred, Edward & Aethelstan. Thanks for remedying that! Speaking of which, have you read the Saxon saga novels by Bernard Cornwell? If so, what do you think? I think the storytelling, through the character of Uhtred, a Saxon by birth and Dane by upbringing, is outstanding. And I respect that Cornwell includes afterwords in each book that tell us when he’s departing from known history for dramatic effect, or at least admits to that perennial all-star favourite, “we just don’t know”. I’m happy to report Bernard Cornwell books are on Audible so balancing the fact based BHP with some historical fictions, the history comes to life while I’m doing mundane tasks! Thank you! I’ve only been listening for a few months and just reached this episode. I’m actually quite pleased that you’re spending the time to go over this period. The way I had it taught to me while in my grade school years was as if after Rome collapsed it was like everyone either died or loaded up into their spaceships and left the planet until randomly a few hundred years later we had the Medieval Era and the Crusades. I’ve always been interested in what happened between the two periods and been a bit disappointed in what little I’ve found thus far. Actually, if you’re interested in the history of people loading onto space ships in the past, The History Channel has you covered. 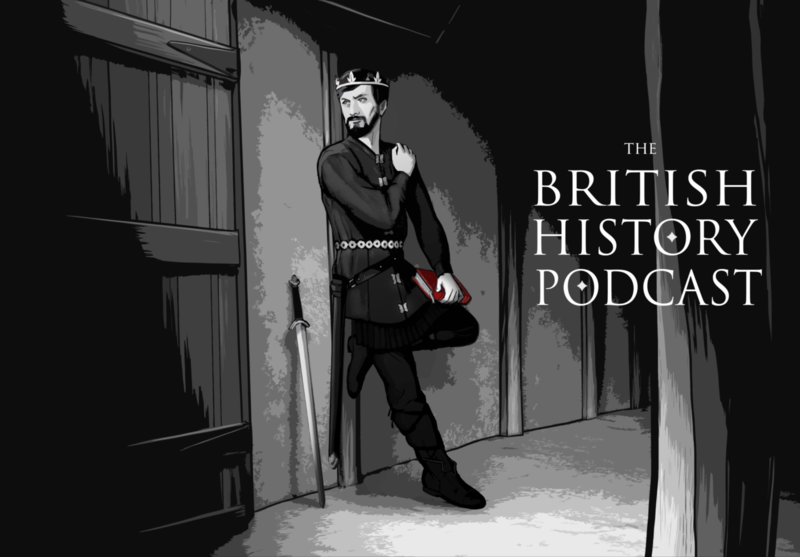 I am just on this episode (I know I have ALOT to catch up on) and I was pleased to know you were touching on this part of history because it’s the layperson (us) that lives out history in day-to-day lives and that is important to realise. Definitely loving this podcast and all it’s been teaching me. I’m a member and I am also enjoying those episodes as well. Trying to listen to them correctly dispersed between these regular episodes. Wonderful job on this podcast!